Long back in March, NiN reported that Windows 10 will be downloading and distributing updates to others using peer-to-peer (P2P) protocol. 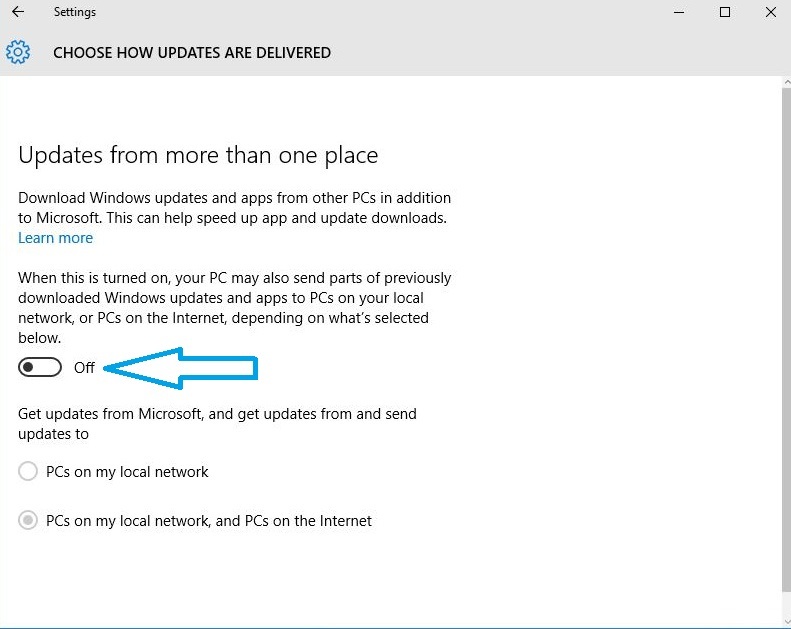 Now that Windows 10 is released, and you can grab with even without any upgrade icon, Windows 10 is busy using your internet connection to distribute updates to other people on the Internet. Actually, Microsoft has done this to reduce the stress on its servers. Earlier, it was expected that this feature will only work for PCs on your local networks. Windows 10 steals your internet bandwidth due to a feature called Windows Update Delivery Optimization. It is enabled in Windows 10 Home and Windows 10 Pro versions. Windows 10 Enterprise and Education have this feature enabled, but it works only for the PCs on your own local network. Just like torrents, everyone having Windows 10 on their PCs, by default distributes some updates to the people who need it. 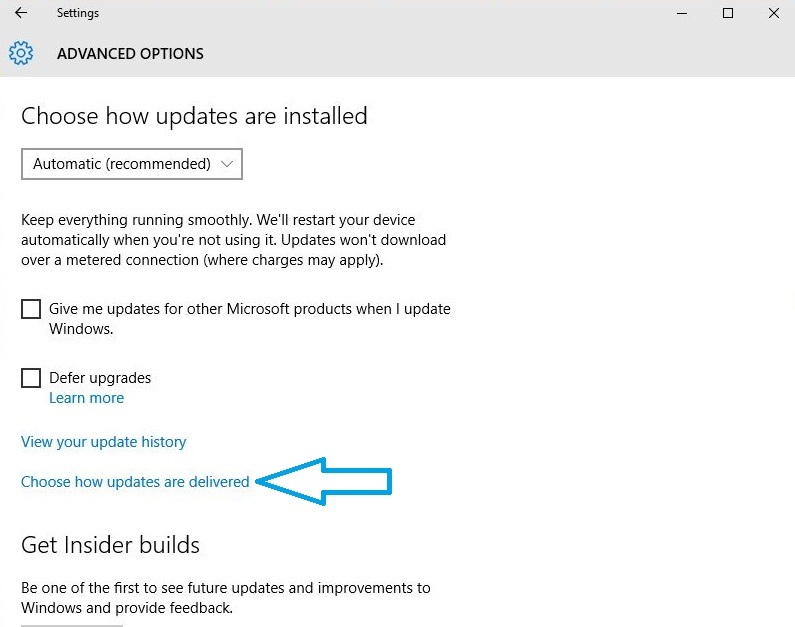 This makes the update process for other fast and less troublesome for Microsoft. Using your data connection to share updates may seem like a good gesture, but what if your data connection isn’t unlimited? For those who are having a limited data connection, this feature will use lots of your allotted data and you won’t even realize it. Microsoft has said that this feature will only share updates and it won’t download or send any personal data. Windows 10 steals your Internet Bandwidth, How to Stop It? 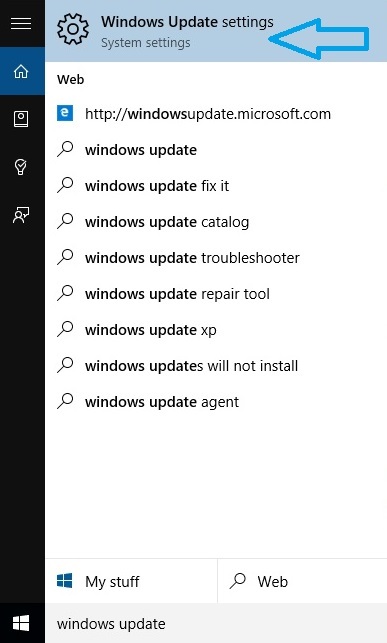 Search for “Windows update settings” in the Start menu and click on the desktop app. 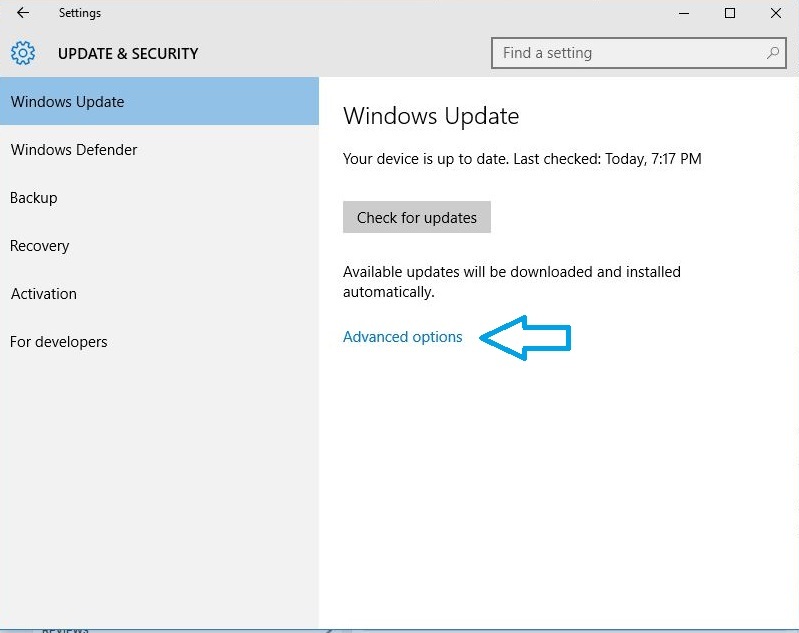 This looks a great feature for getting updates quickly and sharing updates with your local network PCs if you are running Windows 10 Enterprise and Windows 10 Education. But knowing that Windows 10 steals your Internet bandwidth on Windows 10 Home and Windows 10 Pro versions, and spends your data without your knowledge, it doesn’t feel that great. Previous postInfographic – How Large is 150 PetaBytes?